If you would like more information on the process of ordering and having a door installed through Wessex Garage Doors, here are some of the questions we are most frequently asked. What should I do if I need a new garage door? If you are interested in having a new garage door installed, the first step is to get in contact with Wessex Garage Doors to book a free site survey. During the survey we will be able to provide you with all of the information you need about the range of options available, as well as discussing the types of doors on offer and providing you with a quote. Is there a call-out fee or charge for the measuring survey? To provide the most accurate possible quote, we offer a free no-obligation site survey. This means we can ensure a perfect fit for your new garage door and excellent customer service at each step in the process. How long will a site survey take? The length of the site survey will depend on a number of different factors, such as the nature of your property and the kind of garage door that you are interested in having installed. Typically, a survey will take between 15 and 30 minutes to be completed, after which the surveyor will take you through a full breakdown of the price as well as answering your questions and providing any further details you need. Will the surveyor provide a quotation? Yes, following the assessment of the site, our surveyor will go through the specifics with you and provide details of the prices you would be looking at to have a new garage door installed. A written quotation will be sent to you. What is the process after I order? Once you have placed an order for your new garage door with us we will get in contact with you so that we can arrange a convenient time for the installation team to visit and install your new door. What do I need to do before you come to install my new door? You should first ensure that the area around the garage door, as well as the interior of the garage, are free from obstructions or clutter. This means that when we arrive to install the new door we can get on with the job as soon as possible. Will you price match against competitors? 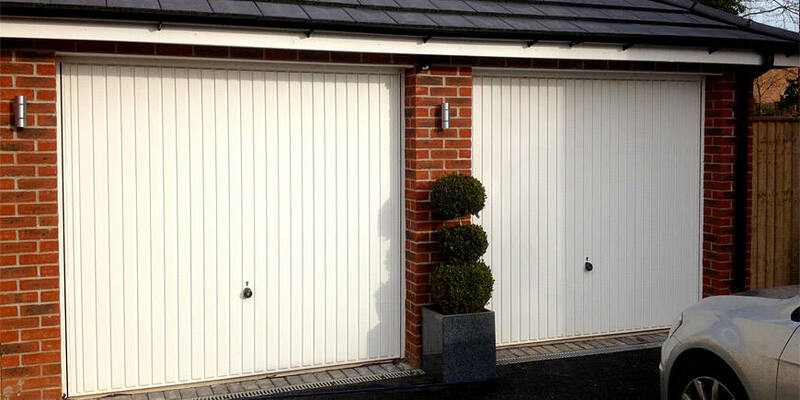 We will always endeavour to provide you with the best possible price to have a garage door installed. Our value for money is second to none, so if you have been offered a better price on a ‘like for like’ product elsewhere please get in contact with us and we will be able to get you a better deal. If I want to fit my own garage door, how should I measure the opening? If you wish to install your garage door yourself, you first need to measure the width and height of the structural opening while taking in account variation across the space – this typically occurs due to natural movement of a building as it ages. To measure the height of the opening you should measure at the left edge of the opening, then at the centre and the right edge. You should repeat this process with measurements at the top, middle and bottom. Always use the smallest of the width and height measurements to ensure that your door will fit in the opening.